Very caring teachers and didis. Healthy and hygienic food. 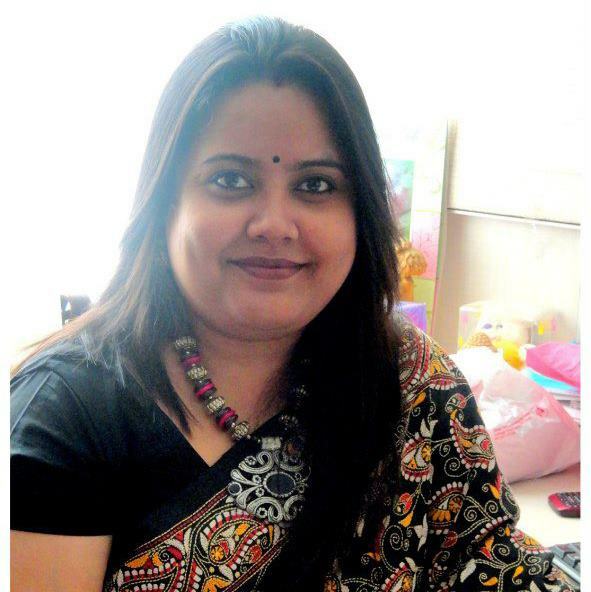 A dynamic professional with around 13 years of rich experience in Education industry. My expertise consist of Strategic Planning, Business Development, Sales & Marketing, Key Account Management, Channel Development& Management, Profit Centre & Cost management , Relationship Management, Strategic alliances, Customer Servicing, Team management & Compliance Adherence & Enforcement. A Well organized individual with a track record that demonstrates self motivation entrepreneurial ability, creativity and initiative to achieve goal. A certified ISO Internal Auditor and a mother of 2 years old son (Abhiraj). Children have always been the topmost priority in my life. And post becoming a mother my interest of doing something for them has doubled up. The Auditor in me always looks for perfection. Hence Thanks to Footprints – India’s Best Pre School and Day Care Chain for giving me this opportunity so that with my expertise and immense love I can be a contributor of nurturing this tiny souls step by step into a journey of their 360 degree development . A Graduate and Post Graduate in Journalism and Mass Communication. My Daughter joined footprints when she was 9 months infant and now she is quarter to two. It had been a great journey of her. From Infant to toddler she learnt lot of things like: Excersises, Yoga, tearing Pasting, Scribling, body parts, names of fruits/vegetables.